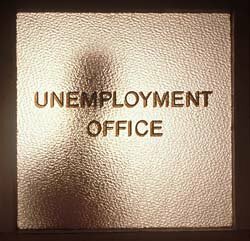 Unemployment: Will Applying Hurt Me Professionally? 'J.T. & Dale Talk Jobs' is the largest nationally syndicated career advice column in the country and can be found at JTandDale.com. Dear J.T. & Dale: I graduated from college last spring and was hired as a para-educator (teacher's assistant) at a middle school. My position is considered part time, so I do not receive any pay over the summer. Friends say that I should collect unemployment over the summer if I can't find temporary work, but I'm worried that the school district will frown upon this and that my position could potentially be in danger. Thoughts? — June J.T. : I would suggest asking the school administrators, teachers and fellow "paras" what others have done in the past to supplement their incomes over the summer. Perhaps they can point you in the direction of other part-time jobs so this won't be an issue. Barring that, if you are entitled to unemployment — the rules vary by state — you shouldn't worry that it would jeopardize your future with the school district. In fact, you could argue that they'd be eager to hire you back so that your unemployment benefits would stop. Dale: You mentioned that you are "considered part-time," which I suppose means that you already get chintzed out of medical and other benefits. So, maybe the district bureaucrats would frown on your unemployment benefits. But I agree with J.T. that you can't worry about that. Instead, take the money and your year of experience, and don't just look for a summer job, but for a new permanent one. Jeanine "J.T." Tanner O'Donnell is a professional development specialist and founder of CAREEREALISM.com. Dale Dauten's latest book is "(Great) Employees Only: How Gifted Bosses Hire and De-Hire Their Way to Success" (John Wiley & Sons). Please visit them at jtanddale.com, where you can send questions via e-mail, or write to them in care of King Features Syndicate, 300 W. 57th St, 15th Floor, New York, NY 10019. © 2009 by King Features Syndicate, Inc.